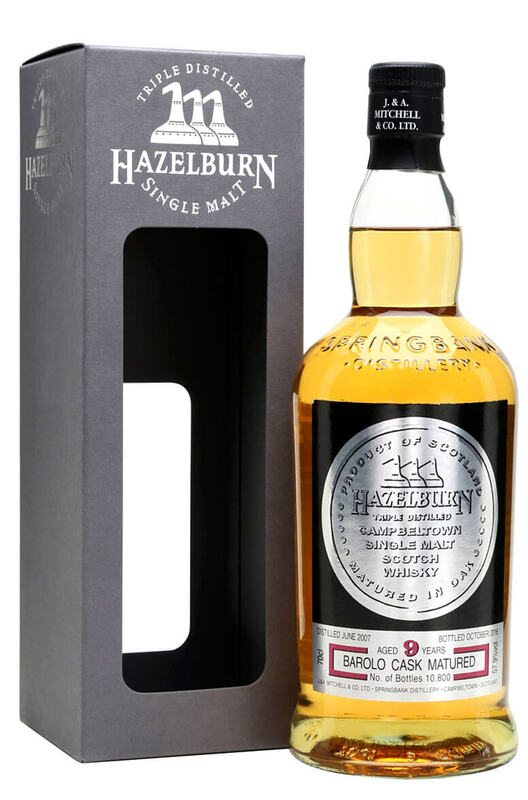 This unpeated, triple distilled malt from Springbank distillery has been finished in refill Barolo red wine casks after an initial ageing period in fresh bourbon barrels. Just 10,800 bottles have been released. Aromas (without water) Fragrant with notes of sweet confectionery and fruit salad giving way to sugared almonds, sherbet and soft fruits. Flavour Peppery with light tannins. The sweetness is continued alongside dried fruits, raisins and the subtle hint of coconut shavings. Finish: Dark sugars and chocolate to the fore with pineapple custard, vanilla, stewed fruits and a touch of bung cloth all present in the medium dry finish.